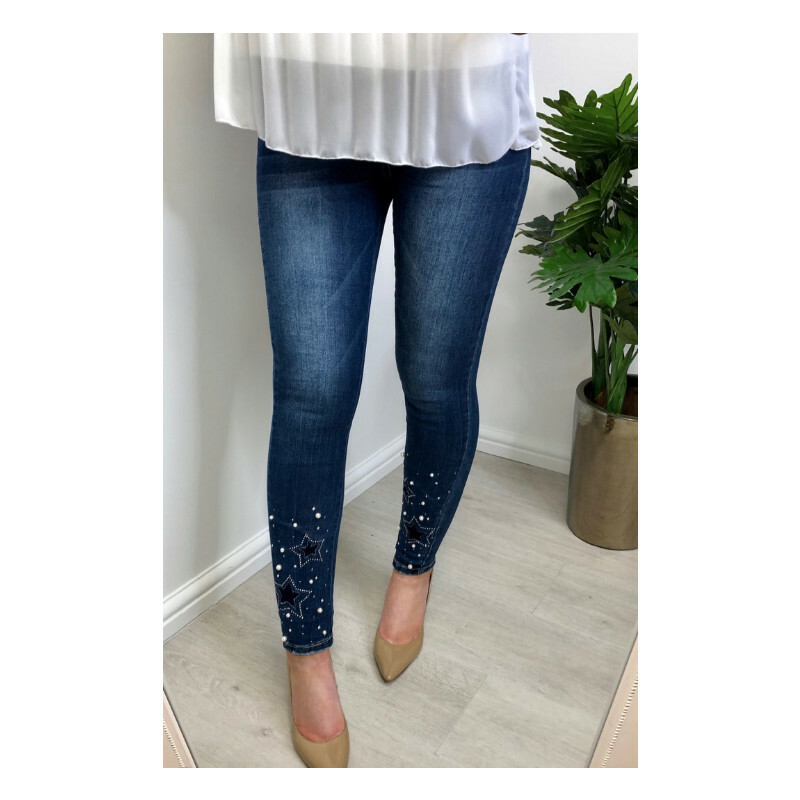 Our Serena star jeans are perfect for the evening with a dressy top. They are high waisted and have belt loops. 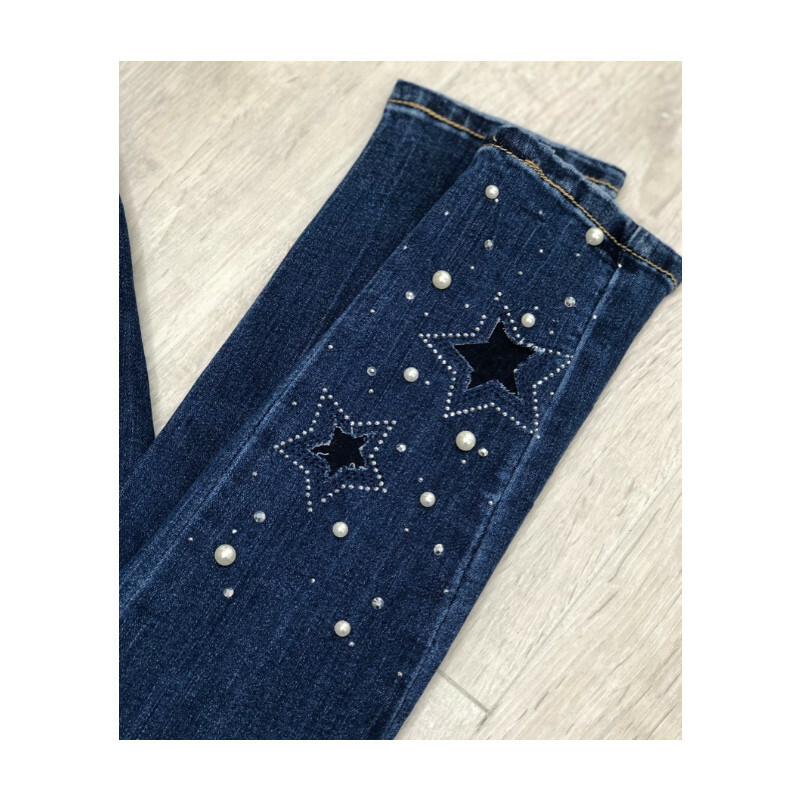 They also have additional detail from the pearls, studs and stars at the hem. 72% cotton. 26% polyester. 2% elastane.